MONCTON, NB – Pump House Brewery has announced the annual release of its early autumn seasonal brand. Oktoberfest beer is medium-bodied and has an abundance of maltiness, while the mouthfeel is velvety and creamy (due to relatively low carbonation levels typical for a Munich Oktoberfestbier served from wooden barrels). The hop bitterness is very moderate, never dominating the taste profile. Although the alcohol level is slightly more elevated than in an average mainstream beer, the phenolic taste of alcohol is not noticeable. Our Oktoberfest beer has the potential to be an every day beer, but we think it is best to serve on special occasions (such as Oktoberfest). 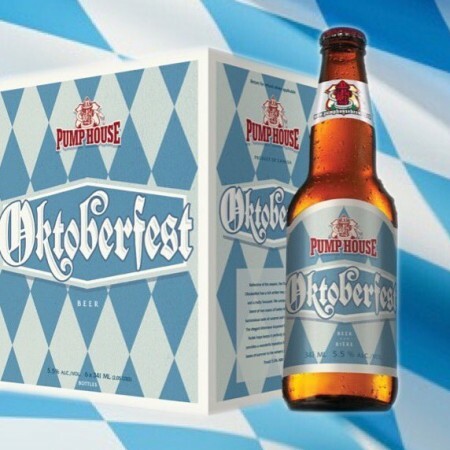 Pump House Oktoberfest Beer is available now on tap at the Pump House brewpub, and in six-packs in the retail fridge.